It is the world where people tend to pay less attention to how their sentences are structured. This is largely due to the fact that they are unaware of some of the potential consequences of poor grammar. Sentence structure errors (as well as different types of sentence structure) have been discovered to be one of the most notable causes of why most people never get employed by recruiters. This is because it has a lot to do with effective communication where feedback is usually expected. Most recruiters tend to pay more attention to as it is what will determine the extent to which their workers will be able to interact with the outside world. Are you struggling to organize your sentence structure the way it ought to? Do you know that this has some dire consequences which can cost you more in the long run? 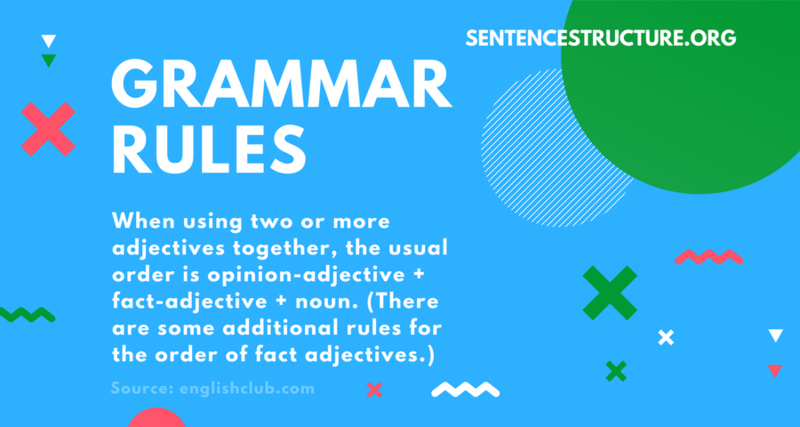 The major aim of this post will be to expose everything that you need to know regarding sentence structure errors and how you can avoid them. Get to know more about the most helpful essay checkers! You will be able to have that awareness about some of your sentence structures and why they are wrongly organized. This will help you improve and eventually communicate effectively to your audience. The need for the right grammar knowledge is being stressed on by experts. However, it is important to point out that most people are not aware why it is important that they have updated grammar knowledge. This section is going to be showing you some of the importance of developed grammar knowledge and why you should start considering how to develop yours today. Whether you want to admit it or not, the truth still remains that your voice is a brand. This is because whatever impression you create in the mind of your target audience will stick like glue. It is only a matter of which type of impression you want to create. This is where you will need to properly develop your grammar knowledge so as to create a positive and lasting impression in the minds of your audience. A person that has developed his grammar can convince his audience on any given subject matter. They will not doubt what he has to say because they see him as an authority in the field he is trying to address them. Effective communication demands that there must be a feedback from your audience. If your sentence isn’t well structured, you will have a very difficult time getting the needed response from your audience. This is because you will not be sending the intended messages across. The importance of feedback in effective communication cannot be overemphasized. This is as a result of the fact that it can serve as a proof that your audience properly understands what you are trying to explain. Communication has always been two ways. This means that there are times when you may be the receiver or receiver. In such a case, you are likely to struggle in understanding concepts once your grammar isn’t well developed. You can’t interpret statements and do what is expected of you because your grammar knowledge isn’t updated. The strength of a successful leader lies in how he can successful communicate with his subordinates without any form of interruption. This is perhaps one very important aspect of leadership that should never be taken for granted. As a leader, if you want people to believe in your presentation then you have to ensure that your grammar is well – updated. One of the major problems that most people make in communication is that they make mistakes that are too obvious. The worst part is that they tend not to notice such mistakes. Below are some of the common sentence structure errors that you may be guilty of. Discover them and start thinking of ways to avoid them. Wrong application of the subject and verb agreement rule. This involves not matching singular subject with singular verb. For instance: Mary come here on Mondays. The “come” should have been “comes”. Wrong use of pronoun. For instance; everybody came with their plates. It should be “his or her” instead of their. Not making use of a comma in a compound sentence. For instance; the man jumped into the lake and he died. It should be: The man jumped into the lake, and he died. Wrong use of effected and affected. For instance; the change has been affected. This should have been “effected”. There are different ways that you can use to check your writing and know if your sentence structures are correct or not. Some of these ways will be highlighted below. Listen to advanced speakers and writers and learn how they arrange their words. There are core rules to always remember whenever you want to write a sentence. Abiding by such rules will always do you a lot of good. Some of these rules will be listed below. Always remember the subject and verb agreement rule and use it effectively wherever necessary. In summary of the above, it can be seen that sentence structure errors are very easy to avoid once you can perfectly follow the rules. Still having problems with the different sentence structure errors? Get help from a sentence structure program.